We try to keep our tabs on what the government is announcing, but sometimes we fall short. This is the case with the most recent statement issued by the Reserve Bank of Zimbabwe last week, which we feel is still important to post here. The dynamics around money, cash, electronic transactions, Bond Notes and the like are ever changing in Zimbabwe and individuals are always looking to calibrate their opinions with new information. With the apologies out of the way, we have included below a summary of the RBZ announcement (which you can download here). But first, the most notable is how the cash shortage has been effective in driving the use of plastic money. Less than a year long ago, the idea that one could make all their payment with their phone or bank card was a distant reality. Everything has changed in just a few months. The only cash payments people still need to make are just for public transport (kombis), small grocery items at tuckshops, and veggies at community vegetable stalls (msika) and maybe, increasingly, DStv. Everything else, groceries at supermarkets, fast food, fuel, utility bills, airtime, beer at the bottle store etc… can be paid for electronically. The biggest winners are the banks and mobile money providers (which really just means EcoCash) but the convenience is also great for consumers – no need anymore to go queue for cash at the banks. Plastic and electronic money now accounts for 70% of the payments in Zimbabwe. 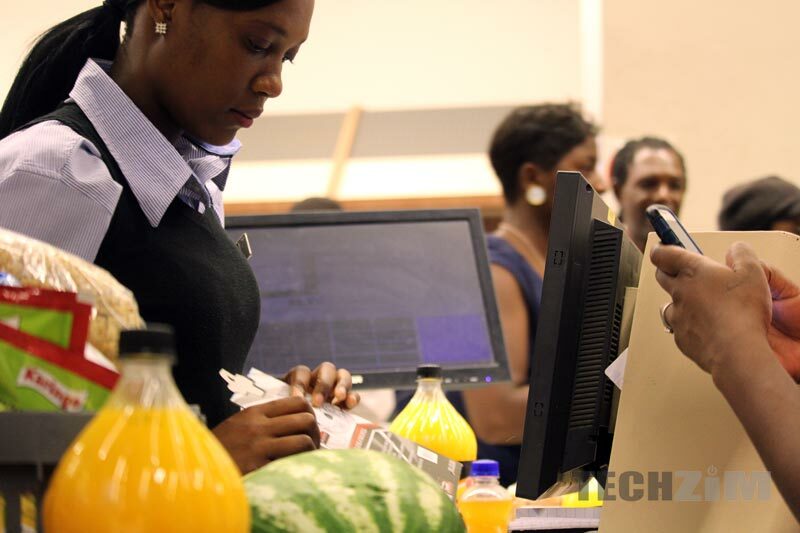 To encourage use of plastic money, the RBZ is revising the transactions fees downwards. It’ll have to be a balance ofcourse as Zimbabwean banks had a good year last year making money on transaction fees. RBZ is keen to ensure that bank account holders are bona fide law abiding and taxpaying citizens. (emphasis theirs). Expect your bank to get stricter about asking you to provide all kinds of documentation before they can open an account for you. Sometimes before you can continue using an account you already have. To fight cash hoarding, the RBZ is now offering whistleblowers a reward equivalent to 5% of the reported and recovered cash amount. The good year in agriculture (tobacco and maize) and apparently mining sector turnaround has meant an increase in forex coming into Zimbabwe. As a result, the RBZ is now able to provide about $100 million forex each week for things like imports. This started second week of April. Cash deposits at banks and Nostro holdings have increased by 50% to US$450 million since the end of the Easter Holidays. Whether or not you trust the government is of course another thing. Techzim’s advice as usual is that try as much as possible to study and understand the information and situation on the ground yourself so that you rely less on the interpretations of the RBZ itself, or naysayers that see everything the government does as stupid. That explains why government has long since stopped failing to pay civil servants’ salaries on time. Throughout 2016 there was a crisis towards the end of each month as govt scrambled to find real money to pay the civil servants. Now they just ‘open the taps’ of electronic money – debit an inexhaustible suspense account and credit the different banks’s RTGS accounts for onward distribution to the civil servants. That explains why the balances held in bank deposits are now totally divorced from nostro and cash balances. Its like a 200 litre drum of water with one litre of milk added and someone is claiming that its all milk. This is a a better way although it does not resolve the issue the country holds. Next, people in Zim needs to understand that money is not only about hard cash. Goverment needs to continue promoting cashless society. I quickly noticed that it is very expensive to use hard cash in Zim as it vanishes quickly from your hands and pocket. I then turned to using only cards. It is a hit and miss when it comes to swipe machines. I have no problem from any swipe machine from Steward bank. I have never had any success swipping on a machine from CBZ. All my cards are international issued. What keeps bothering me is how cashiers always want to check balance first on my cards as soon as l bring it out. Obviously l say no for security reasons, l do not know their reason for them to ask me that.